To bring the action closer, experience the difference with Canon's compact and versatile 10x30 IS II. 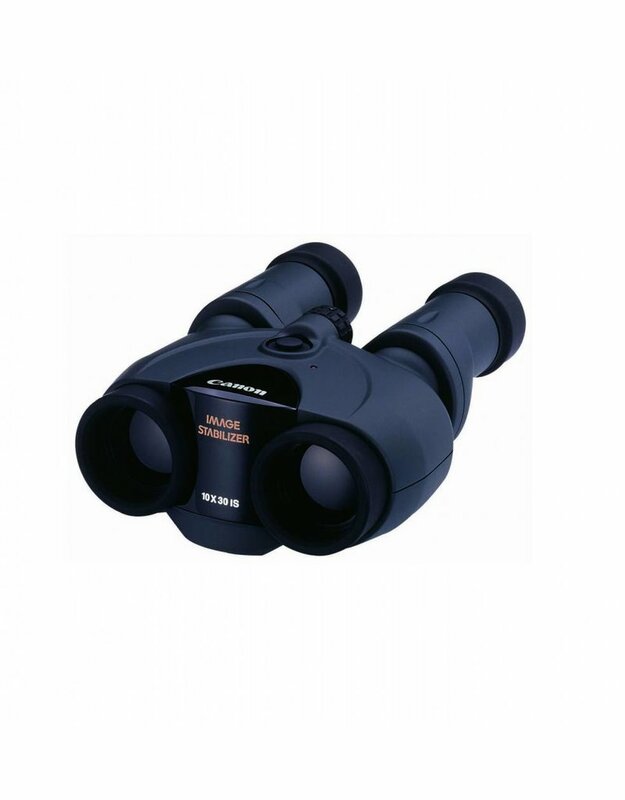 Whether looking at the feathers of a bird, the expression on a child's face as they run to catch a fly ball, or a row of skyscrapers across the river, these lightweight and portable binoculars are ideal for travel, bird watching, sports, concerts and much more. 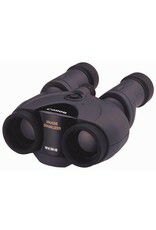 With 10x magnification and bright 30mm/1.18 in. 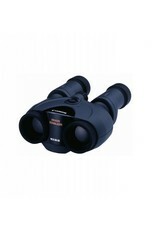 objective lenses, these binoculars perform wonderfully both indoors and out. 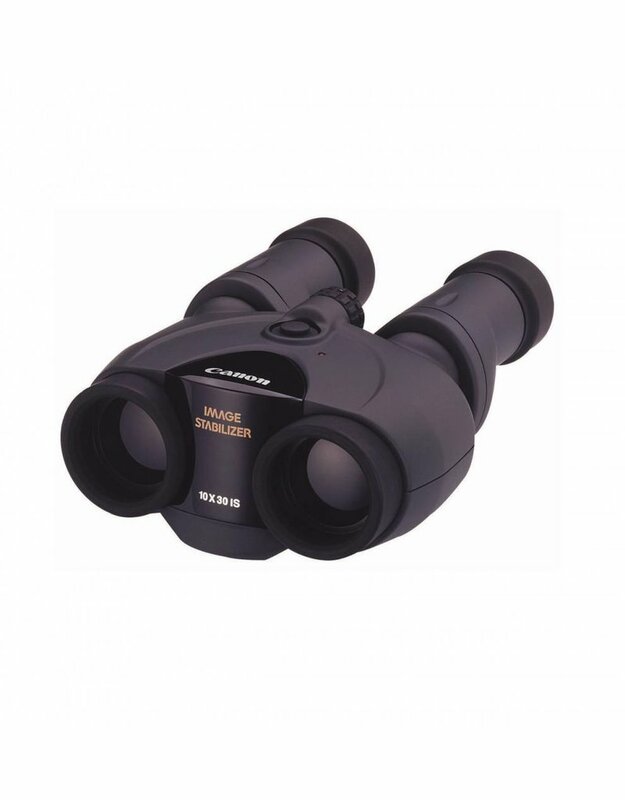 Featuring improved Canon Image Stabilization (IS) technology for smooth, extended viewing without the need for a tripod, these binoculars have Canon optics and corrective technology for sharp, colourful and bright, virtually distortion-free viewing. With all-day use in mind, the 10x30 IS II are designed to be comfortable even when wearing glasses. With an improved, low reflective exterior coating that helps minimize glare from the sun, they're less conspicuous when viewing wildlife, in the stands at a stadium or anywhere else where distracting reflections might occur. 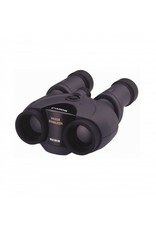 Energy efficient, with environmentally friendly-glass, these can be the perfect binoculars to bring along, everywhere. Canon's 10x30 IS II are lightweight and compact, perfect for bringing along on a wide range of activities: hiking, going to the theatre, sports events, concerts and more. But don't let their compact size deceive, as they incorporate a sophisticated Image Stabilization (IS) system, Canon optics and improved electronics for efficient, brilliant performance no matter the user, no matter the application. To maintain stable images at high magnification, without the need for a tripod, the 10x30 IS II feature Canon's Image Stabilization (IS) technology for performance on par with Canon's EF series of lenses. Vari-Angle prisms are placed between the front lens and the main prism. When the binoculars' gyro sensors detect movement, vertical or horizontal, they direct these prisms to compensate and correct for external shaking for smoother panning. A high performance microcomputer with advanced algorithms not only enhances IS operation, it helps provide shorter startup times and more efficient energy consumption. This means a comfortable, stable view that can be easy to maintain, whether standing on a mountain tracking a bird in flight, looking out the window of a moving vehicle or watching the pitcher wind up to throw a strike. Canon's 10x30 IS II feature a refined optical system designed to provide a 10x angle of view with remarkably compact optics. With an objective lens effective diameter of 30mm/1.18 in., the 10x30 IS II offer a great balance between brightness and portability. Canon's 10x30 IS II use a Porro II Prism design. Because both the front lens and the eyepiece use convex-shaped glass, the binoculars' design necessitates a prism system between the front objective lens and the eyepiece to flip the otherwise inverted image that would appear. Porro type prisms are a perfect fit for the 10x30 IS II because they deliver clear, bright images at high magnification with excellent sharpness and minimal light falloff. The 10x30 IS II feature doublet field-flattener lenses in the eyepieces. Doublet lenses correct curvature of field, the image quality degradation typical at the edges of the image frame. Thanks to the doublet field-flattener the 10x30 IS II can display a sharp, even view, corner to corner. With advanced power-saving electronics, Canon's 10x30 IS II feature a significant energy improvement over previous models when using the Image Stabilizer (IS) function. For example, when using AA alkaline batteries, the 10x30 IS II's IS system works for up to 9 hours. The 10x30 IS II are compatible with nickel-metal hydride (NiMh) batteries as well. In binoculars, the distance from the eyepoint where the image can be seen without obstruction is known as eye relief. When using binoculars, especially for extended periods of time, more eye relief can make for a more comfortable experience over a longer span of time. 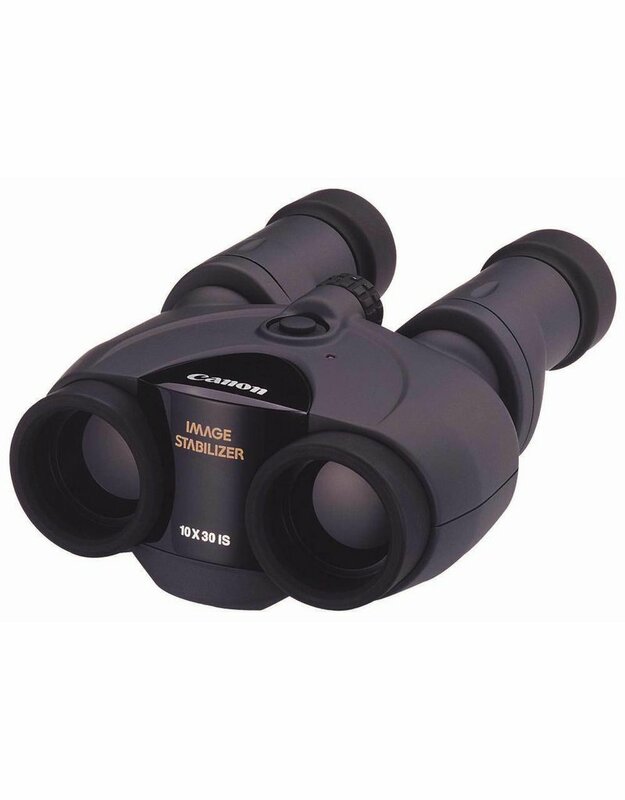 The 10x30 IS II have long eye relief, providing a generous field of view and making the binoculars more comfortable to look through, especially when wearing glasses. The 10x30 IS II have an improved external design with a matte front cover, plus an overall anti-reflective design. This is especially helpful for watching birds and wildlife, when remaining inconspicuous is a priority. A rubberized coating on the focus adjustment ring adds improved control. As with all of Canon's EF lenses, Canon's 10x30 IS II are manufactured with lead-free glass that's friendly for the environment.